The relatively high cost of visiting London’s attractions means a day out is the exception rather than the rule for me. That’s why I like it when out of town friends visit! 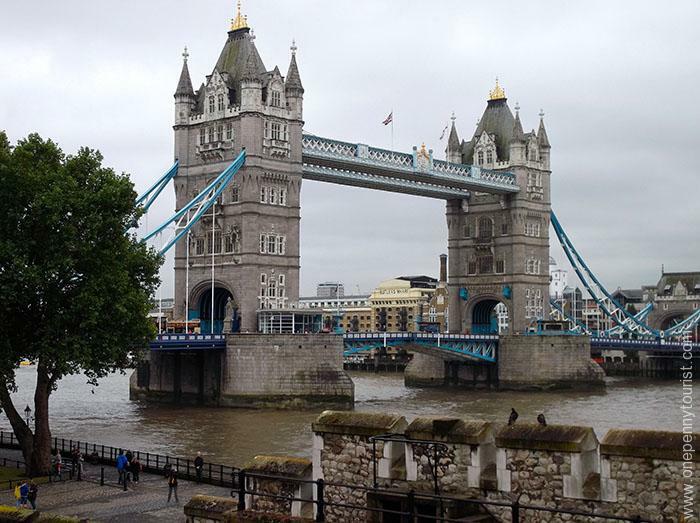 Last summer I had a great excuse to play local tourist and enjoy a trip to one of London’s most historic sites. You can tell I visited on a UK summer’s day because of the grey and overcast sky. Kidding! We do get nice weather sometimes, honest. Sadly that day wasn’t one of them. 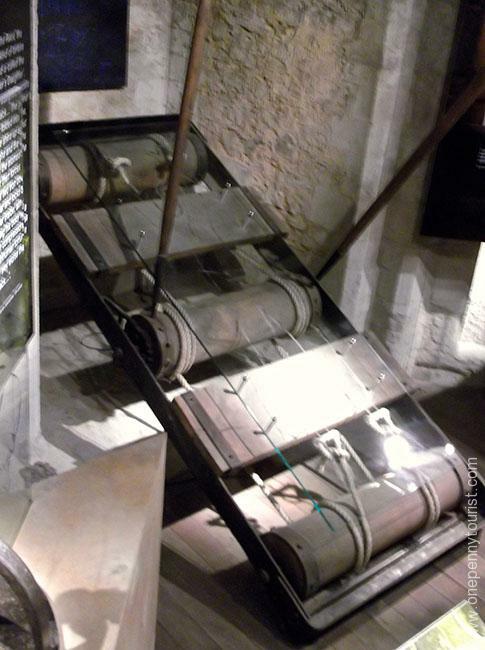 Like many fortresses, the Tower of London started small and has been gradually added to over time. It’s foundations began with it’s iconic Keep as William the Conqueror in 1066 strengthened his hold on the country after claiming the English Crown. 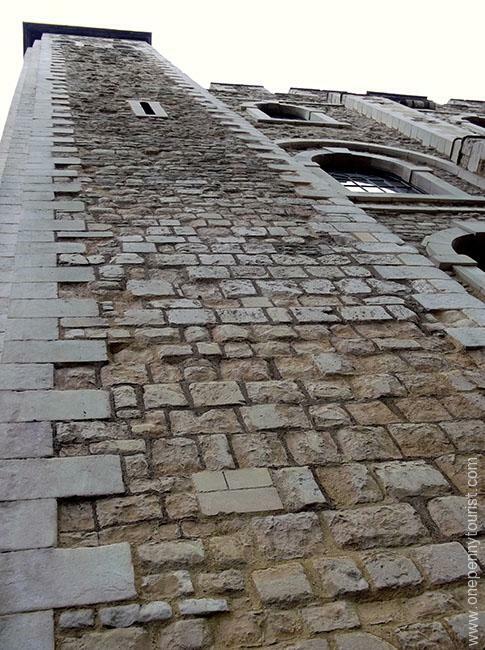 Since then the Tower has witnessed many a gruesome story within it’s walls including Henry VIII and his, um ‘wife problem‘ and the Princes in the Bloody Tower. There is a large area to explore once inside, but there are 3 ‘hotspots’ to visit which due to popularity or small size, can create long queues later in the day. Why yes actually, now that you ask we did discover this the hard way. 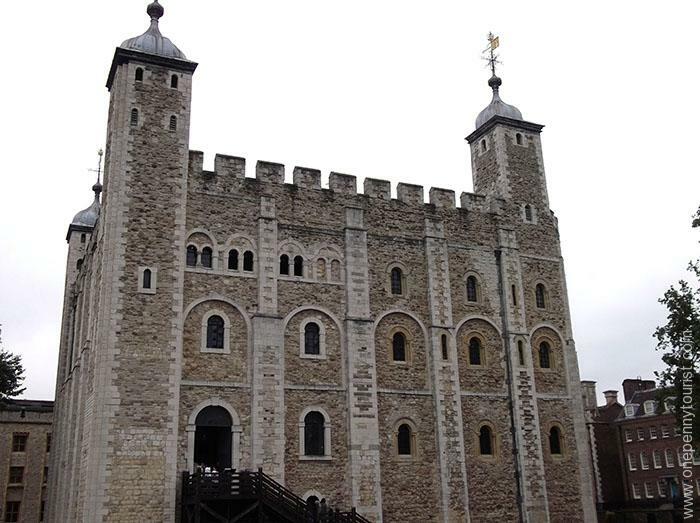 TIP: If you’re interested in the Crown Jewels, the lower Bloody Tower and the White Tower then arrive at opening and head there as a priority before it gets busy. On our arrival we decided to walk the wall ramparts. There are great views of Tower Bridge and various courtyards from here, plus some small rooms with mini-exhibits along the way. They also have these neat metal sculptures of various soldiers to help you imagine how they defended the castle back in ye olde days. I thought these were a great atmospheric touch! 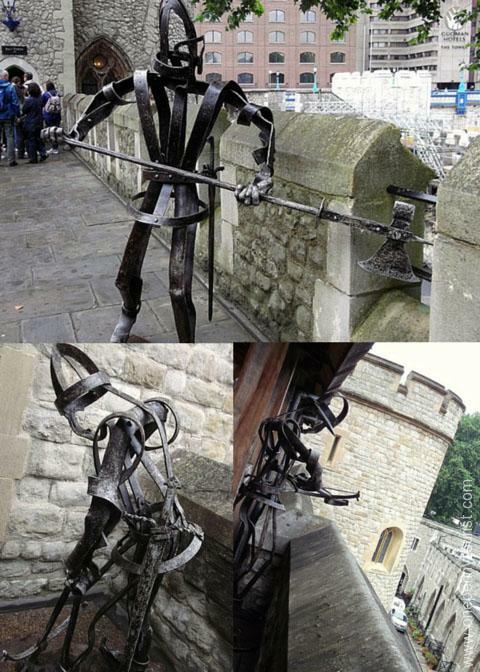 The Tower of London is also home to the Crown Jewels for the British monarchy. Even they have a story of their own, including an almost successful attempt to steal them. We passed on the opportunity to look at the Jewels as by the time we reached that area in the early afternoon, there was a long and rapidly growing queue outside. 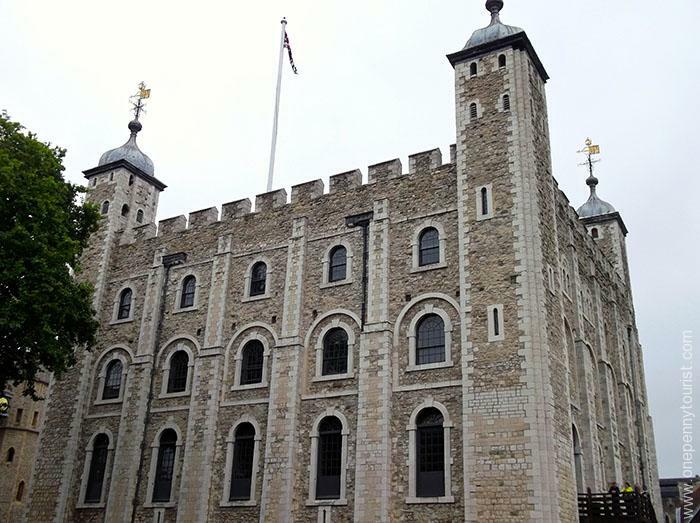 The most recognised building in the Tower of London is the White Tower. 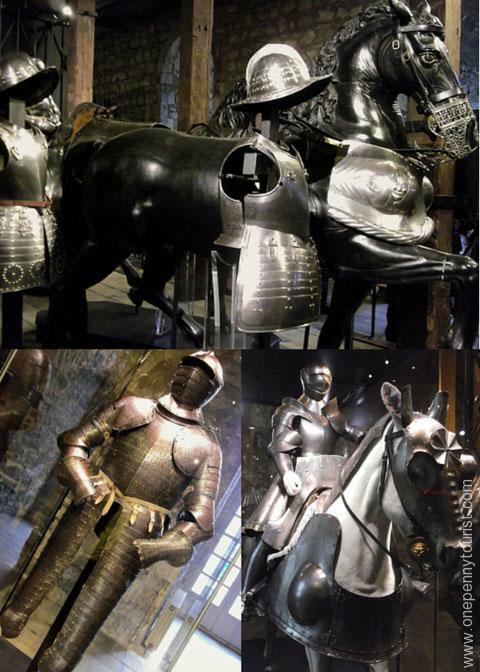 This entire building is basically the armoury – and we’re talking some serious war-bling. 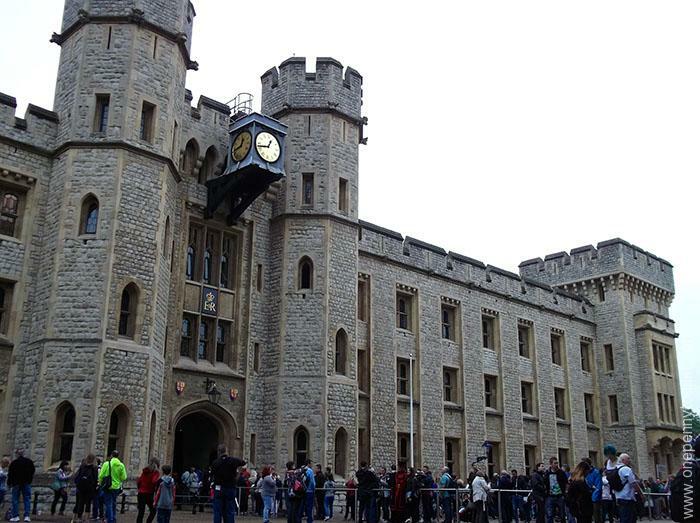 Like the Crown Jewels, it’s popular with visitors so you’ll also want to visit it early in your day. Even if there’s a small queue outside, inside it’s a twisty, turny mass of shuffling people. TIP: If you like to take photos, be prepared! Photography is challenging with shiny armour, glass cases and difficult lighting. This is then complicated by only being able to stop for a few seconds to take a shot due to masses of people waiting behind. I’m not particularly ‘in’ to weapons and war regalia but I enjoyed wandering through this huge collection and seeing the armour of famous English monarchs. 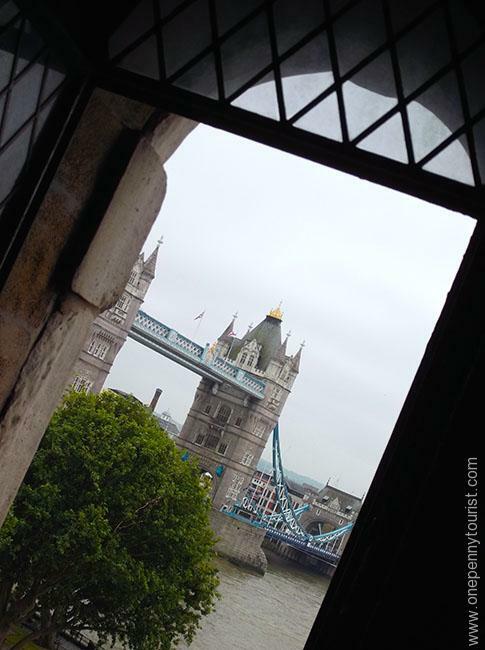 A peek of Tower Bridge from a window as we climbed the stairs of the Keep. On reaching the top floor we found this huge dragon. The photo doesn’t begin to capture how impressive this guy was, he was really cool! Apparently it used to be a bit of a victory ‘thing’ to make an intimidating sculpture out of the armour of your beaten opponents. Oh boy, but this Keep is such an impressive building – it’s almost a fortress within a fortress. The Keep was hot inside so we decided to rest and cool down on a bench for a few minutes. 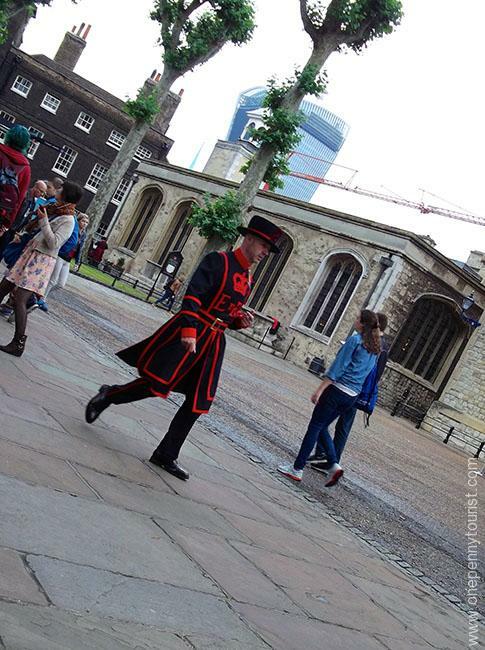 Our people watching was rewarded with a roaming Yeoman of the Guard (aka Beefeater). Then it was off to the Bloody Tower! There was a queue waiting to enter the lower tower but it was short so we figured we’d do it. Unfortunately, while short it’s also very slow moving. This is due to this area being tiny and so can’t cope with many people at a time. Unless you can get there early, or are in to torture equipment(!) like this Rack, then I would skip this. There are plenty more interesting things in the upper tower and it’s less congested. We then obviously had to go and check out the infamous Tower Green where Anne Boleyn and Catherine Howard ‘divorced’ Henry VIII by, shall we say, non-standard methods. 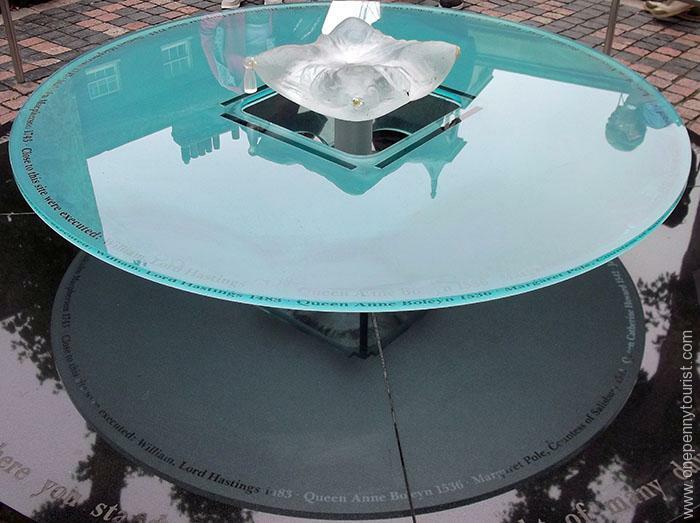 A memorial stands close to where these private executions took place (public ones took place on Tower Hill). There’s a little glass cushion in the middle which I assume represents where prisoners placed their head and waited for the chop. Teeeensy bit macabre. 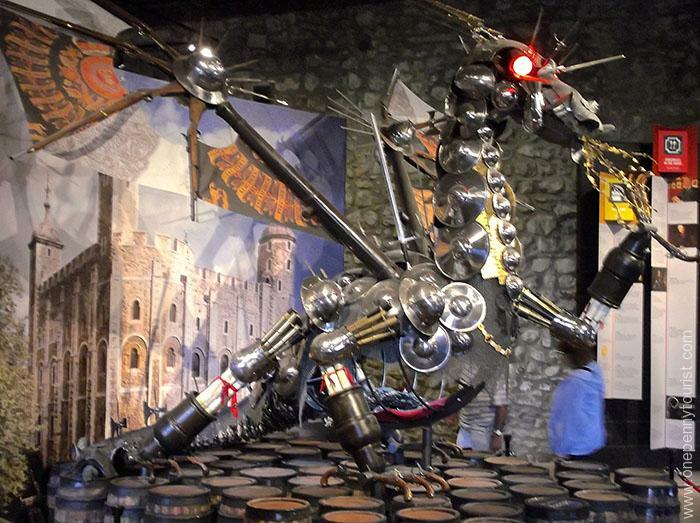 All in all, the Tower of London is a tourist mecca, but for good reason. By exploring every nook and cranny it can occupy you most of the day, especially if you stop for a cuppa tea and slice of cake! It’s photogenic, oozes history and it’s prison dungeons, narrow corridors and twisting staircases make it literally an adventure to explore. At £24.50 (roughly $37/€30) per adult it’s not cheap, but there are ways to save. One option is a 2 for 1 ticket offer if buying a Travelcard. If that’s not suitable you can buy tickets online in advance for a small discount, including Family tickets for further savings. If you’re looking for a more budget friendly alternative, there are still many great photo opportunities from the outside. 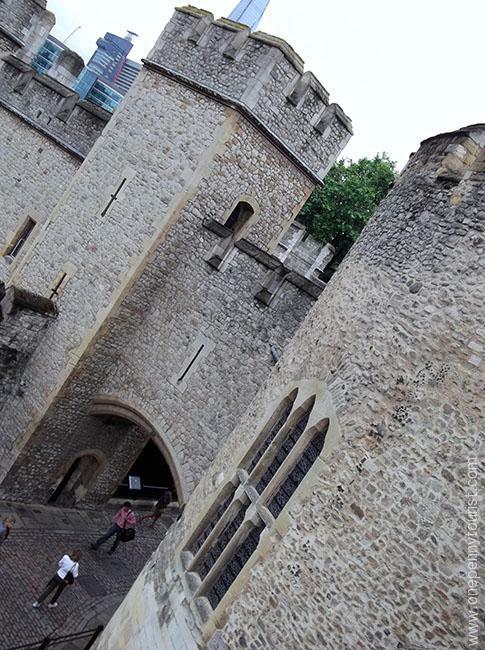 Wander along the riverside cobbled street and you can even see the famous Traitor’s Gate. Just a few minutes walk away is Tower Bridge and St Katherine’s Dock (home of the Dicken’s Inn where we’ve lunched in the past) – itself a little oasis and pretty as a postcard. 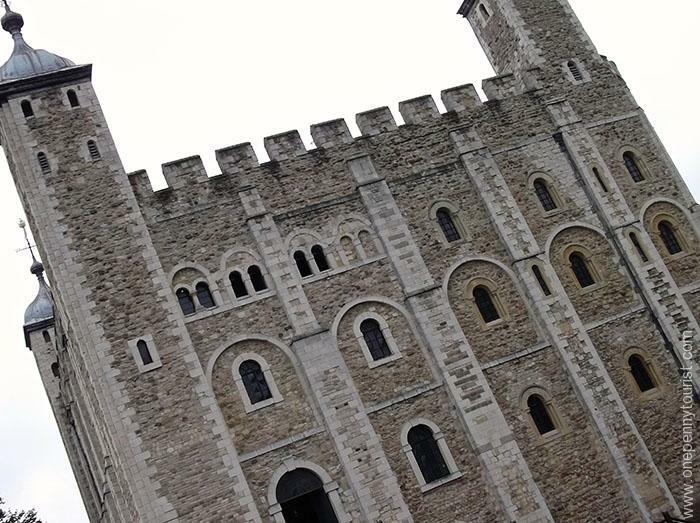 Is the Tower of London on your ‘must see’ list?